While the safe bet is on the Falcons dipping into this incredibly rich defensive line class in round one, the contract given to Sambrailo should not automatically rule out the team solidifying their offensive line for the future. With that being said, expect Atlanta to bring in competition at right tackle at some point in the draft. Whether that comes on day one, two, or three, however, boils down to how the chips fall. If all their top defensive line prospects are gone when pick 14 rolls around, it’s only natural for the team to turn their attention to the right tackle position. Jonah Williams (my top ranked offensive lineman) would be the dream pick in this scenario with Cody Ford, a prospect the Falcons have shown considerable interest in per Vaughn McClure, being a worthy consolation prize. Aside from those two, Kaleb McGary (round two), David Edwards (round two/three), Tytus Howard (round three), Chuma Edoga, Dennis Daley, Bobby Evans, Isaiah Prince, and Oli Udoh (day three selections) are other tackle prospects the Falcons could consider. The Falcons’ biggest head-scratcher this offseason has undoubtedly been the decision to hitch their wagon to Vic Beasley in 2019 for $12.81 million. Instead of washing their hands of the underwhelming pass rusher and signing a more productive player for less (cough cough Justin Houston), Dan Quinn decided he couldn’t quit his inaugural draft pick and agreed that taking a more hands-on approach is the solution to the Beasley problem. Whether that proves true or not remains to be seen, but it’s imperative the franchise has a contingency plan in place in the event Beasley flops for a third consecutive season. Fortunately for the organization, this draft sets up favorably to make that happen. Nick Bosa is the undisputed class of the edge rusher group and a sure-fire top three pick, so he won’t be Making Atlanta (‘s Pass Rush) Great Again anytime soon. However, the next tier of pass rushers are all worthy of the top 16 hype that’s been thrown their way at one point or another. Players such as Brian Burns (ceiling: Von Miller; floor: Randy Gregory), Montez Sweat (ceiling: Julius Peppers; floor: Marcus Davenport), Clelin Ferrell (ceiling: Jevon Kearse; floor: Derrick Morgan), or Rashan Gary (ceiling: Cameron Jordan; floor: Robert Nkemdiche) could be available when the Falcons are on the clock in round one. In Burns the Falcons would be getting a player they hoped for out of Beasley—a super twitchy athlete with a wide array of pass rush moves, making quarterback pressures a regular occurrence. With Sweat you’re not getting quite the bend along the edge that you would with Burns, but you’re still getting a freak athlete and one that can make an immediate three-down impact against the run and pass. Ferrell is the classic case of being yesterday’s news, much like top 10 pick Mike McGlinchey was last year, but the 2-time national champion and team captain at Clemson is one of the highest floor pass rushers in this class and checks off every box the Falcons look for off-the-field. Lastly, Gary represents one of the biggest boom-or-bust prospects this year, but his traits are undeniable and that means more when evaluating draft prospects than his lack of production in an injury-marred season. If the Falcons are looking for the perfect compliment to Beasley (one who is relegated to left defensive end in nickel situations), Gary fits that bill given his ability to kick inside on obvious passing downs. These four pass rushers offer Atlanta the best opportunity to fortify their defensive end depth chart overnight. Simply put, the drop off at defensive end becomes steep after the top five players in the class. Chase Winovich (round two) represents the best case scenario on day two, but there’s no guarantee he’ll be available when the Falcons are due up at pick 45. Beyond Winovich, Atlanta would be staring back at developmental prospects at this juncture of the draft with Joe Jackson (round three), Maxx Crosby (round three), Charles Omenihu (round three), and Oshane Ximines (round three/four) rounding out the best of the rest in my opinion. 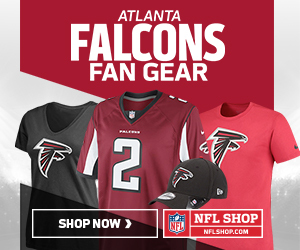 Are the Falcons Poised to Make Another Trade Up? Keeping in mind what I just said about the edge rusher class, does Atlanta find themselves in the perfect position to make another splash in the draft and move up to get their guy (wink wink Ed Oliver)? Using last year’s Raiders and Cardinals trade as the blueprint (Oakland sent pick 10 to Arizona for picks 15, 79 and 152), that is where any negotiations would start if the Falcons attempted to move into the top 10. Conveniently enough, Atlanta owns two of those same picks in this year’s draft (79 and 152). However, in order to obtain someone like Oliver, the Falcons assuredly would have to move farther up than pick 10, with the Buffalo Bills posing a real threat at pick 9 in their attempt to replace the retired Kyle Williams. Therefore, moving up to pick eight could and likely would come at the cost of swapping out pick 79 for 45 in the deal. After all, the Bills surrendered two second rounders in their bid to move up from 12 to 7 in last year’s draft to acquire their franchise signal caller. So what would the Falcons be giving up if they packaged picks 14, 45, and 152 to move up and acquire Ed Oliver (a top three player on my board)? Well, when you come to the realization that Oliver is an upgrade over every other player in the class not named Nick Bosa or Quinnen Williams, Atlanta would really only be passing up the chance (emphasis on the word chance) to draft someone like Winovich, Tillery or McGary in the second round. I’ll take those odds every day of the week and twice on Sundays. The term generational is thrown around far too often these days, but it absolutely applies in the case of Ed Oliver, who tested in the 99th percentile for defensive linemen. Those types of athletes don’t come around every year. Add in Oliver’s insane three-year college production (192 tackles, 53 tackles for loss, 13.5 sacks) all while playing out of position at shade nose tackle and you have the makings of the perfect running mate for Grady Jarrett long-term. The Falcons have never had nine draft picks during the Dan Quinn era and I think it’s fair to say that’s worked out okay for them. With very few holes to fill on offense following free agency and a total of seven picks still at their disposal after the hypothetical trade, Atlanta remains in good position to add both current and future contributors in the draft if they were to get aggressive and move up for a player with an Aaron Donald-type ceiling and Geno Atkins-type floor. Say it with me, people. Ed Oliver No Matter What.